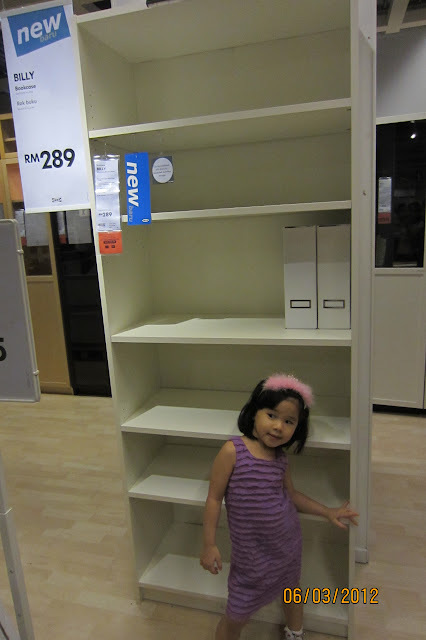 Next, a Billy bookcase and we got this – cheap and nice! But when we reached home, we found out that the Billy bookcase didn’t really blend in with the other furniture, so the hubs placed it in the storeroom and used it as a shoe rack. The Billy bookcase fit into our storeroom just right and our storeroom now looks so much more neater with all the shoes sitting in the shelf neatly. 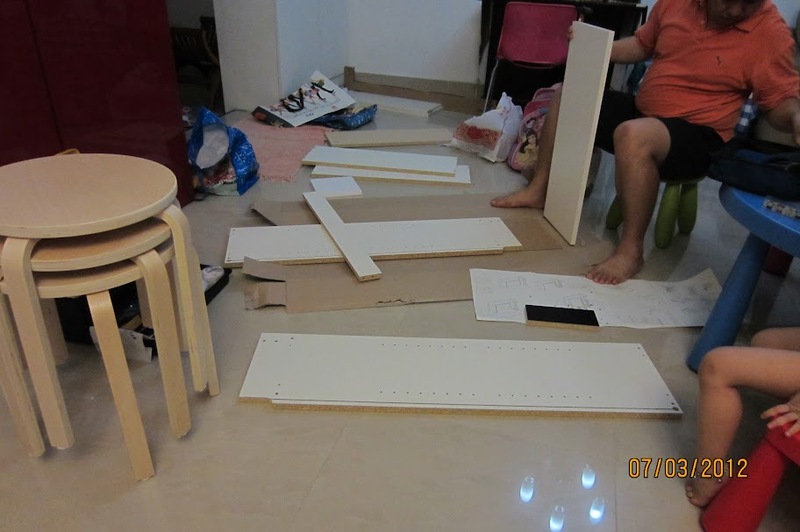 My handyman whose hobby is fixing and assembling things always finds much thrill and challenge putting pieces of wood planks together. I am always floored to see how patient he can be spending hours assembling planks of wood together into a beautiful, perfect piece of furniture when he has zilch patience shopping with me, aargh!!! We also got some stackable stools from Ikea as we have always ran out of chairs for guests who are at our place for dinner. Also got some colorful hangers to hang the girls’ clothes and a set of bib-bowl-cup-spoon set. After 4 hours of shopping, here are our 2 cart fulls of loot, causing a damage of over RM1K! 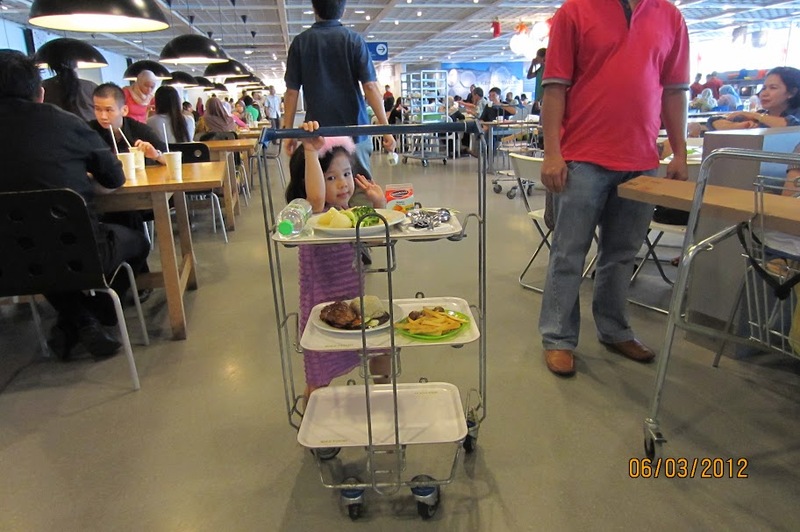 After shopping, we had a quick lunch at the Ikea cafeteria. I of course ordered my favourite meatballs and pan fried salmon. As usual, our trip to Ikea will never be complete without an indulgence in the RM1 nett ice cream. 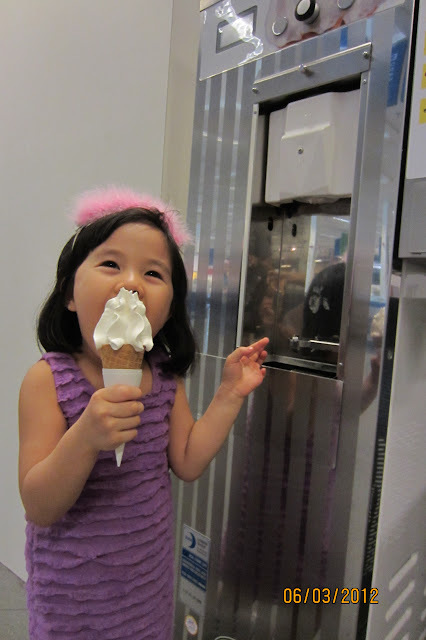 Tell me which kid does not like slotting in a coin into the vending machine to ‘make’ her own ice cream eh? Total bliss! So this is our March trip to Ikea. 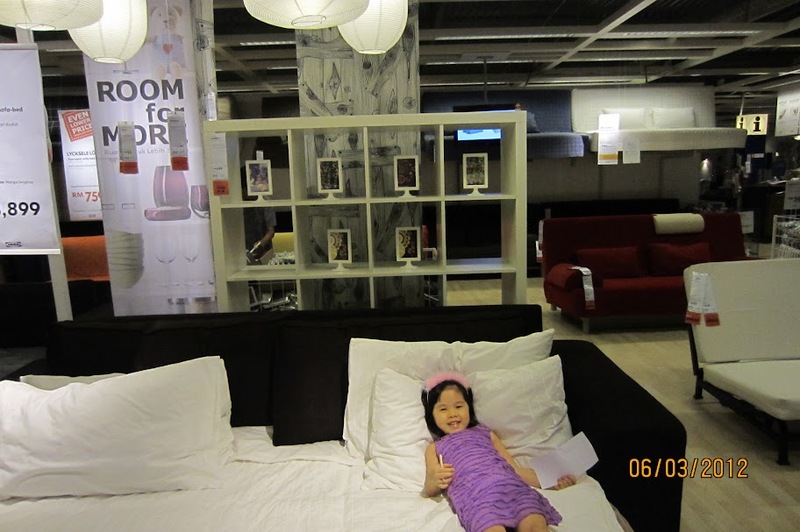 Our trip to Ikea in April will be to get the book shelf that we wanted and I’m hoping that there will be some new designs for us to choose by then. My husband and I love patronizing in Ikea. Now I know that the meatball and pan fried salmon is good. Baby C’s purple dress is very lovely. It’s good that you have decided to use the Billy bookcase to store shoes. I think it’s totally lousy for books (the shelves sag under the weight of books). 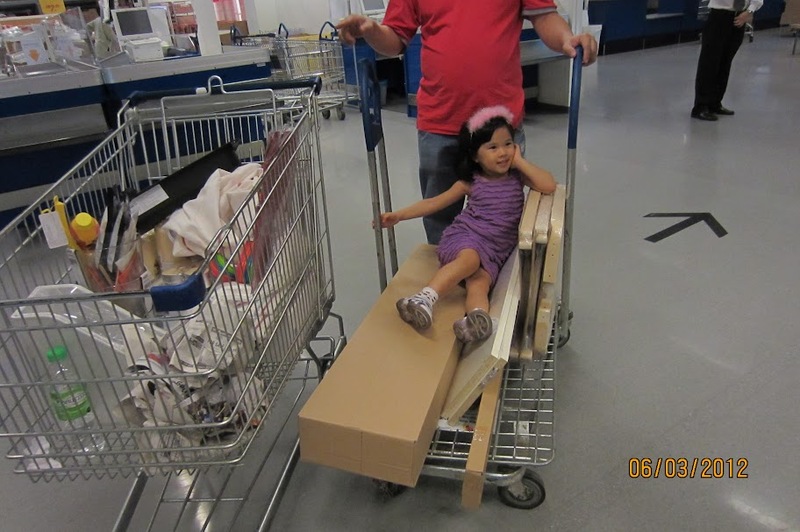 I love shopping at Ikea….nice furniture. 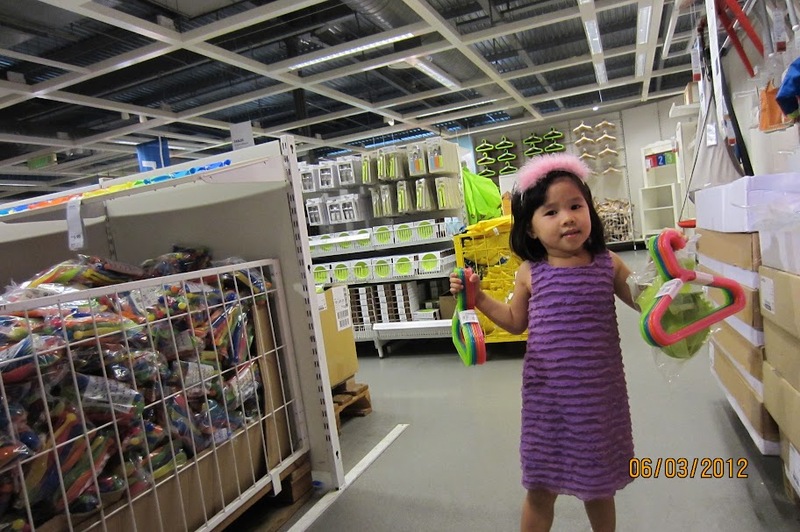 Ikea is a nice place to shop..
Aww – Cassandra looks adorable. I find the open book shelves hard to maintain as it attacts dust – unless i totally remove all the books everytime i dust – whch is too much work!! With book cases, its good to invest in a more durable one as sometimes the shelves dont take much weight and end up saggin. A friend of mine bought the billy book case and the whole thing collapsed!! We also bought that same white Billy bookshelf (including the doors) last month, and same reason with you too… I could no longer tolerate the sight of books “littering” the whole house. It’s not very sturdy but good enough for those light paperbacks or in your case, shoes haha! we love that ice cream from machine too. But did u notice that it seems to be so much smaller than previous?